Back by popular demand. 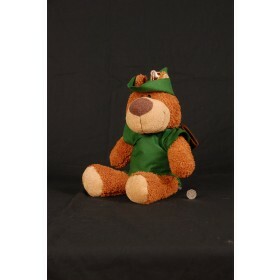 This large 15" teddy bear with a green felt tunic and hat and brown felt quiver has an adoralbe feel and is floppy and cuddly. Appeals to both young and old alike.